Why PhoneGap Is the Right Choice for Building a Mobile App? If you are an online business owner, then your main concern would be to increase your audience base in different areas that may include desktop, tablet, laptop or mobile device users. When we talk about mobile platforms, iOS and Android are the two most popular platforms in the mobile world and business owners are making huge investments to target the mobile audience base and this has actually forced them to build separate applications targeting each mobile device. Instead of creating separate apps for each device, it would be really great to develop something that could be easily accessed by all the devices. PhoneGap is a popular mobile development platform that allows business owners to create cross platform mobile apps easily. With it, you can use standard technologies like Java, HTML5, CSS3 and then release them in specific platforms of your choice that includes Android, iOS or Windows. The increased usage of these mobile platforms has encouraged developers to build codes for multiple applications for different devices. Android is a popular mobile app development platform and it offers accessible software and frameworks in the Android world. With various Android frameworks that include jQuery, Corona SDK, TheAppBuilder and etc., these frameworks lack some or the other features that are mostly covered up by PhoneGap. Since the mobile app developers have to cover various aspects like the feature of the device, operating system, look and feel and also make it reachable to a number of users, it becomes really difficult to create apps without a powerful app development platform. Phonegap is a free and open source framework sponsored by Apache and Adobe. 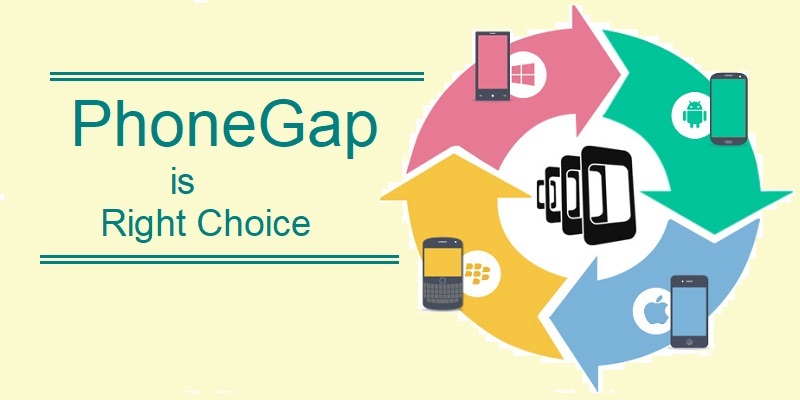 PhoneGap offers a great cross platform compatibility supporting different mobile platforms that include iOS, Android, Blackberry, Symbian, Tizen, Windows and etc. This actually means that your PhoneGap mobile app development team will have to write on a single code base to run the application on different platforms separately. The application that you are developing should be deployed faster so that the users can use it. Thanks to PhoneGap and the developers can make use of their existing skills and readily available SDKs to attain the best results in a reduced amount of time. Not only this, different members of the team can also use the strength of the platform in a collaborative manner to attain the best end result in a seamless manner. PhoneGap development ensures that the developers make optimal use of it to create a final solution. With the implementation of Bring Your Own Device concept in enterprises, mobility management is also becoming a great challenge. Here PhoneGap development can help by allowing he developers to code universal apps that work on various mobile devices instead of any specific app. PhoneGap development equips mobile app developers with an easy access to native APIs, so that the application can make the most of the features of camera, contact list, geo location, accelerometer and also other native features. In brief, the platform helps to retain the native mobile experience that is superior when compared to any other web apps. If you have tight budgets or want to get the optimum leverage within minimum investments, then PhoneGap is the best tool. It is not only cost effective to use PhoneGap for developing mobile apps, but it also operates smoothly on all the platforms and lets you free from cumbersome processes of finding the best skilled team to develop applications across diverse platforms. This saves a lot of time along with money.